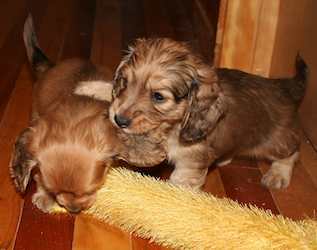 The pups are getting very playful now and they love to romp all over the house. 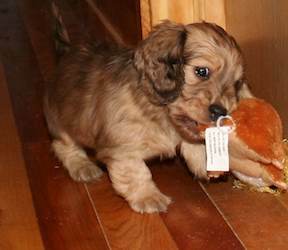 The tags are the best part. 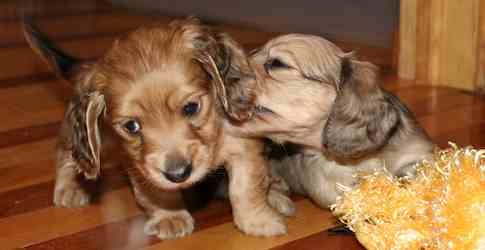 Lance prefers to chew his sister's ear. 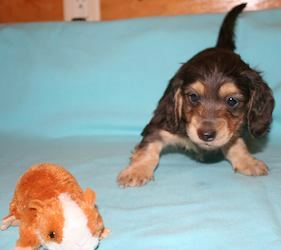 Link was very surprised when the hamster moved. 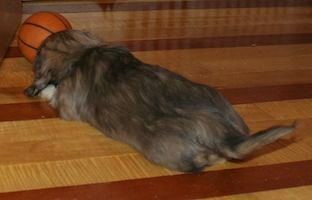 Lance wants to be a basketball player. 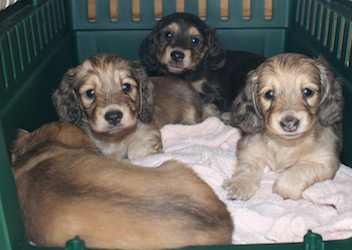 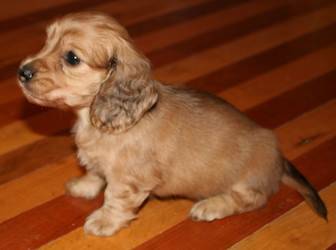 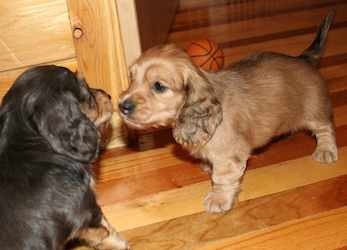 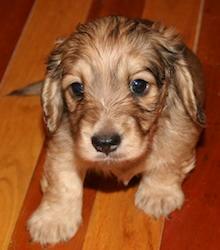 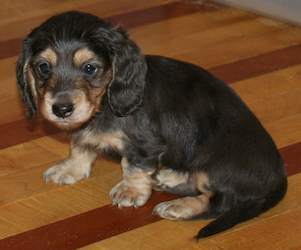 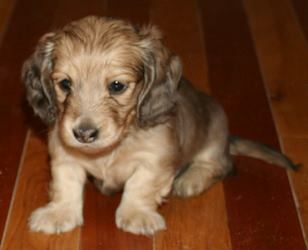 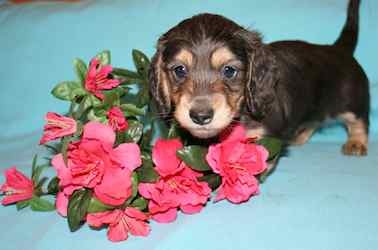 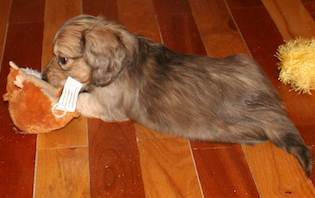 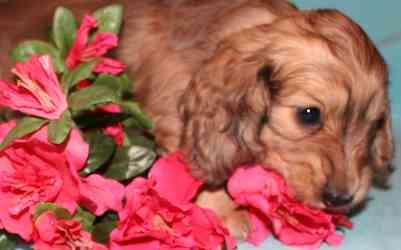 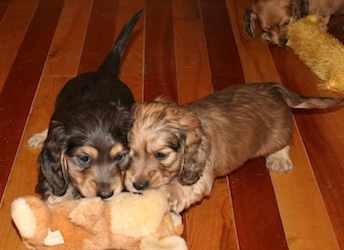 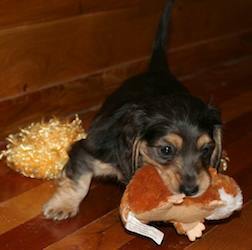 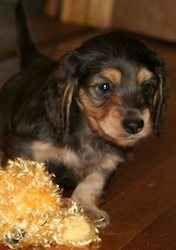 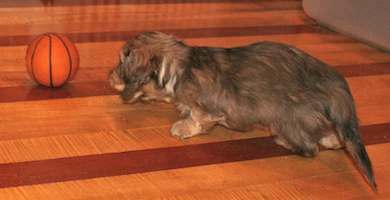 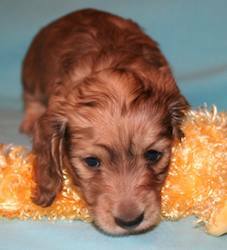 Email us: pat@northedendachshunds.com or call: 906-297-DOXI (3694).